Considered as one of the finest and largest national parks of India, Tadoba National Park showcases an excellent variety of wildlife. Tadoba National Park (or Tadoba Andhari National Park) is located in Chandrapur district of Maharashtra and is spread in an area of 1727 sq.km. This large park is a treasure quest of wildlife and flora; a place where one can experience the best of nature and its gorgeous creations. Wildlife like tigers, panthers, wild boars and much more have found a home in this national park. 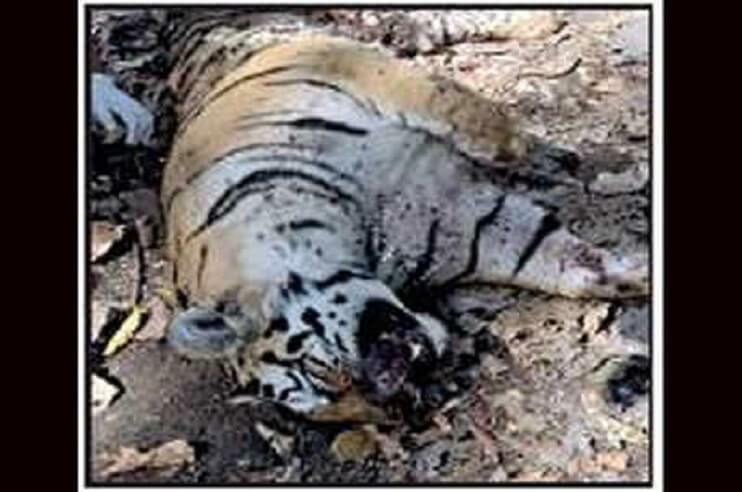 Having a small area and a large population of tigers increases the possibility of tiger spotting for the tourists. Tadoba National Park is one of the major tourist attractions of India and a treasure for the wildlife lovers. Tadoba National Park’s fauna ranges from mammals to reptiles, birds to butterflies, but all the wildlife has proven this point that this national park is like a home to them. Around 150 Bengal Tigers reside here (within reserve and off-reserve) and due to such a high population of tigers here, this national park is also known as “The Land of Tigers”. For the visitor’s delight and apart from the main attraction, this national park is home to mammals like Indian Gaur, Sloth Bears, Nilgai, Dhole, Sambar and Barking Deer, Striped Hyenas, Chausingha, Small Indian Civet, and much more. All these mammals have lured tourists for years but there is one water animal which has been attracting the spectators for many years. Marsh Crocodile is the one water animal which once upon a time was a common sight in Maharashtra and now with such major decline in its population, this reptile is now a tourist attraction in this national park. While we are talking about reptiles, Tadoba National Park is also a home to the endangered Indian Python and Bengal Monitor, Indian Cobra, Indian Star-Tortoise, Russell’s Viper and Terrapins. Huge varieties of species of the animal kingdom could be found here which by far are doing the best in making the visual sight of tourists a memorable one. 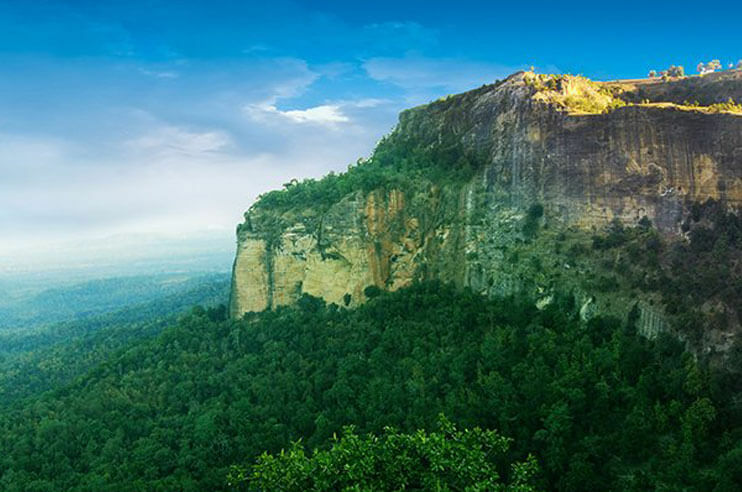 With that being said, another factor which beautifies the sight is the rich flora of this national park. Tadoba National Park is a mixture of dense woodland with predominant southern tropical dry deciduous forests. Accompanying them, you would find trees like Semal, Selai, Crocodile Bark, Bija, Tendu, and much more. 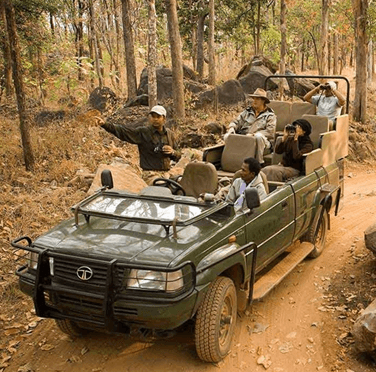 Having a closer look at nature is possible in Tadoba National Park with the facility of Jeep Safari. Since the national park is closed for the monsoon, the safari facility is applicable for summer and winter only. There are four packages for Jeep Safari and are designed for morning and afternoon shifts. The first package is available from 1st Oct- 30th October and the timings are 6:00-10:00 am and 2:30-6:30 pm. The second package is available from 1st December-28th/29th February and the timings are 6:30-11:00 am and 2:00-6:00 pm. The third is available from 1st March- 30th April and the timings are 5:30-10:00 am and 3:00- 6:30 pm. The fourth is available from 1st May- 30th June and the timings are 5:00-9:00 am and 3:30-7:00 pm. To experience the best of wildlife up and close; we provide some amazing packages which are designed just for you. With our packages, we make sure that you have the experience to relish forever. Along with enjoyment we also have our attention on your safety, therefore, during safari our trained professionals will accompany you and be alert the whole ride. The national park has three zones which have access to Jeep Safaris namely Moharli or Mohurli Zone, Kolsa Zone and Tadoba Zone. With these zones, the jeep safaris enter the national park. Moharli Zone is a popular zone because of the high possibility of tiger spotting and offering great accommodation facility for the tourists, whereas, Tadoba zone is famous for offering various scenic and wildlife locations. Kolsa zone is famous for the scenic view of the variety of flora. No doubt that Tadoba National Park is a visual treat for the tourists and a wildlife treasure for the Royal Bengal tiger lovers. The best time to visit is Summers, i.e., March-June. Since the sky is clear and the heat is at maximum, the visitors have a high chance to spot the animals with their cubs while drinking water. Also, the heat is the reason for major dehydration amongst the visitors, therefore it is suggested to carry water with you. April and May are the hottest months and offer a great chance of spotting animals and birds. The other season apt for visiting purpose is Winters, i.e., October-February. During this season, the visitors have a chance of spotting small to large animals, migratory birds. But during Monsoon the national park is closed for visitors. If tiger sightseeing is first preference, then summer is the best time to visit Tadoba Wildlife Sanctuary. 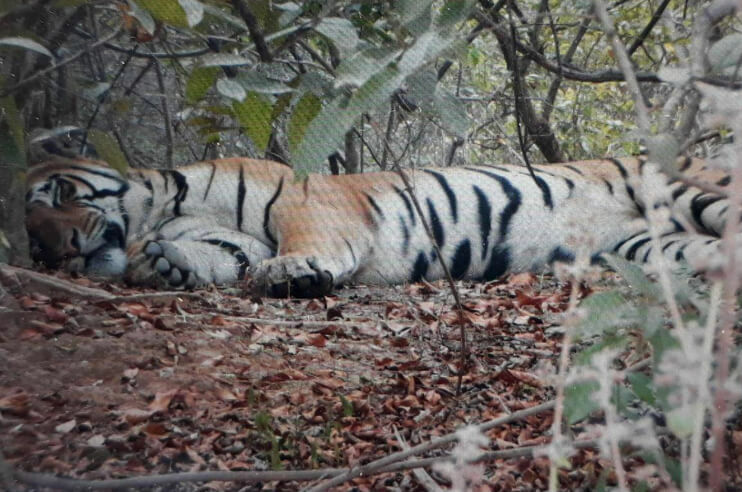 In the months from March to May, the chances of tiger sighting increase. However, the temperature during these months remains extremely uncomfortable for a wildlife safari. Hot and humid weather conditions make visitors exhausted and tired most of the time during the safari. 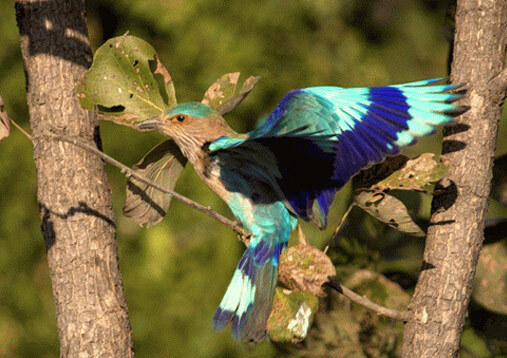 Probably, the most ideal season to visit Tadoba Wildlife Sanctuary is winter. Throughout these months, the remains pleasantly good and comfortable to perform a wildlife tour at Tadoba Wildlife Sanctuary. During the season, a large number of visitors marks their presence at the wildlife sanctuary to spot various wild species. Monsoon in Tadoba Wildlife sanctuary receives a heavy rainfall. Such weather condition makes it impossible for the sanctuary to host wildlife safari tours, and thus, during this time gates of the park remains shut for visitors. Besides, the monsoon is also the breeding season for wild animals, and hence, is one major reason for being closed during these months. The national park can be reached through airways, roadways, and railways. Nagpur International Airport is the closest airport and due to its wide connectivity, it is accessible from all over the world. One could get off and hire a cab to reach the national park. The third possible alternative is to come by road. One could come by a bu or drive to reach Tadoba National Park. This national park has a good connectivity with its surrounding areas. The Other option is to come by train. The nearest railway station is Chandrapur. Around 45 km away from the national park, it is the best alternative to reach the park.